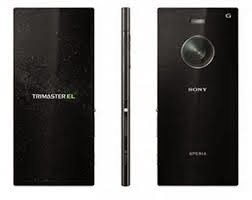 Sonys Xperia Z3 was just announced yet a rumor on its successor called the Xperia Z3X. There is still no clear ideas on what it will be but according to the rumors it will sport a 6.2″ display with an amazing 4GBs of RAM and will be powered by Snapdragons 64-bit 810 chipset together with an Adreno 430 GPU. As seen on the photo, the rear camera is really catching attention. It houses a 22MP Exmor CMOS sensor with an f2.0 aperture. The curved camera was said to be modeled after the human eye. Imagine taking a realistic photo with this beast. But rumors are still rumors. Will we be seeing this monster soon?